The speakers that you will use are in a major position to contribute a lot towards your performance on the stage. That’s because the speakers are responsible for projecting the sound to the audience. No matter how good your microphones are, you will fail to impress the audience, in case if your speakers are not good. Below mentioned are some of the best speakers that you can purchase from the market to improve your audio performance on stage. 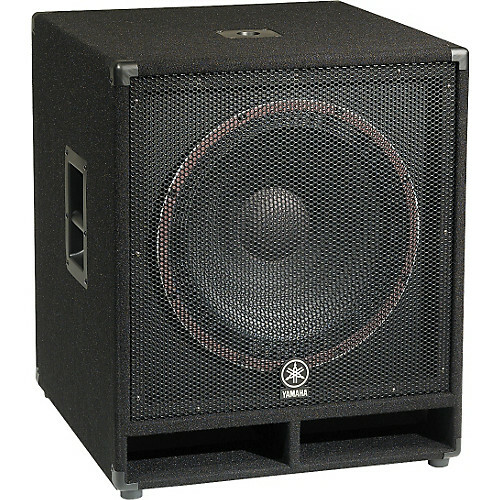 The Main Speakers or Front of House Speakers – Front of House Speakers, which are also called FOH speakers for short are mainly used in live performances. They come in different brands, shapes, materials, colours, technology and sizes. However, the exact size you want to use depends on the size of your venue. On the other hand, they can come in both active as well as passive types, based on the audio requirements of the venue and other equipments that are going to be used with them. However, it is important to keep in mind that you will need to use a separate amplifier when using passive speakers, so that you can power them up when used in a bigger hall. Subwoofers – The Subwoofers are a unique and a one of a kind speaker type. They are provided with the ability to reproduce lower frequencies in an efficient manner. The Subwoofers are quite large in size. On the other hand, the Subwoofers have been designed specifically to work in tandem along with the FOH speakers. When you use both FOH speakers and Subwoofers, you will be able to enhance the overall volume in an effective manner. As a result, you can deliver the best quality output to the listening fans as well. Monitor Speakers, Wedges or Foldback Speakers – The Foldback Speakers are also being called as monitor speakers or stage monitors. That’s because the Foldback Speakers are designed to fill in the stage along with audio. You usually position the FOH speakers pointing out from the stage. In such a situation, you will find it as a difficult task to hear your music on the stage. That’s where Foldback Speakers will be able to assist you with. Due to the unique design of Foldback Speakers, you can easily position them on the stage as well. When you hear your own music, you will be able to improve your performance as well. See How to promote your rock band using printed materials. All these speaker uses are manufactured and design differently. Speakers are speakers. To get the best performance out of them, you need to use them the way they are designed to be used. These are the necessary speakers and microphones available to improve your performance on the stage or any other places. As the next step, you just need to go ahead and invest your money on what you think is right for you, so that you will be able to produce the sound quality, that you want to achieve, with your band’s live performances, and impress your fans and at the same time, have a good time.